Solid glass road studs work by retro reflection. The incoming light is bounced back by a retro reflector in the exact same direction from which it came, for 360 degrees. 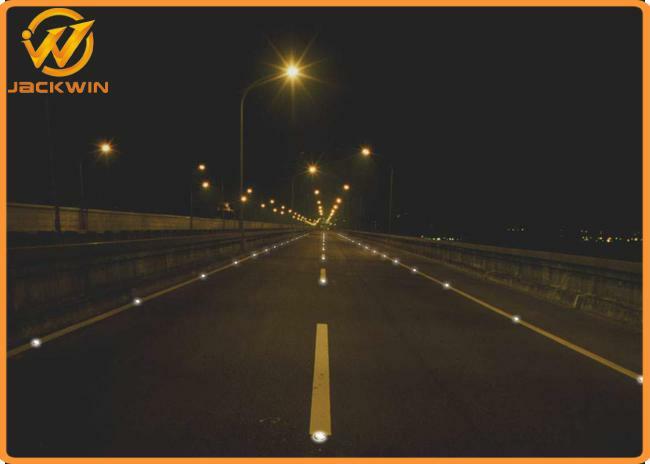 This is important in traffic, as the reflector reflects the light of vehicles from every angle back to the road users, which guides or alarms them in various traffic situations. 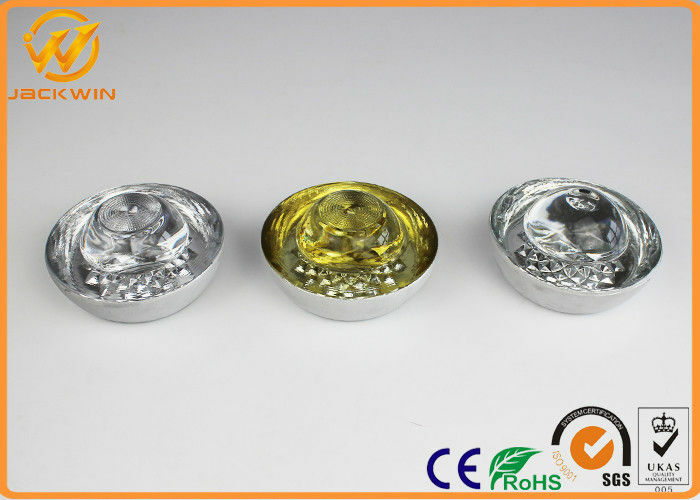 Solid glass road studs are suitable for urban as well as rural areas. They are widely used within the infrastructure sector, yet they are also highly suitable for architectural or decorative applications. Obviously, both purposes can also be achieved in one application. but they also ensure better visibility for the road user during the day. Especially with backlight from the sun and/or in heavy rain, solid glass road studs are more visible than road markings, and this increases traffic safety significantly. 1. No blind spot in any curve. 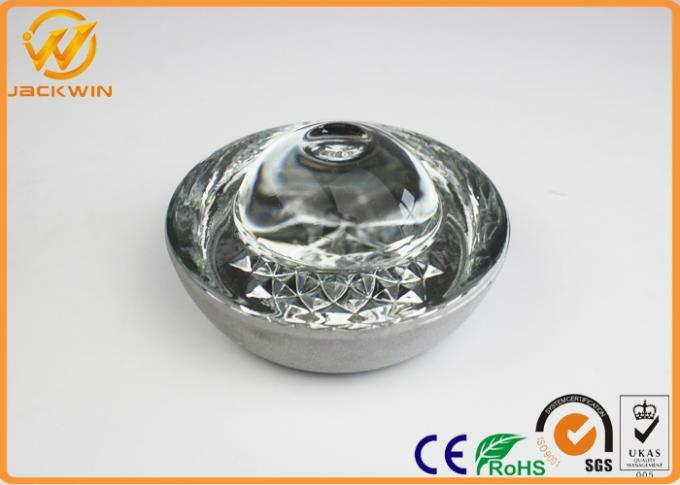 2.High degree of surface hardness and slip-proof surface; the reflection can last extremely long. 3.High strength and long durability. 4.The protruding part is 100% reflective. 5.Smooth surface and not easy to accumulate dust, which needs no cleaning and maintenance. 6.Fully automatic production with machinery. 7.The lifetime is 15 times longer than traditional plastic pavement marker. 8.5 years guarantee is provided for freeways worldwide (the breaking rate is less than 5%).